Two years ago, we went through an exercise thinking about the broader context of what we do at Cultivate Labs and how it plays in to the future of work. We published a white paper with some thoughts to this effect, and hundreds of people have downloaded and read it. In it we wrote that while the acceptance of more flexible work styles, like gig work, is accelerating and has sparked conversations around work-life balance, we need to consider that workers need more. Workers still want security, growth, and development. Today, The New York Times published a piece, "Maybe the Gig Economy Isn't Changing Work After All," which debunked the popularly held belief that the rise of Uber and other gig work would cause a rift in the relationship between companies and workers. The Bureau of Labor Statistics released a new study concluding that there were less gig workers in 2017 than 12 years ago, indicating that "the old-fashioned job remains king." It was heartening to both read the article's perspective and realize that life has continued to play out largely as we predicted it. Our experience with our clients over the last few years has led us to recognize that the notion of employees not working for big companies in lieu of gig work has been tempered by companies now making huge investments in their people and evolving technologies. Case in point: two F500 clients are currently using Cultivate Ignite to launch innovations that will specifically support their digital and people transformations. We’d be curious to get your thoughts. Pull down the white paper and drop us a line to let us know what you think. 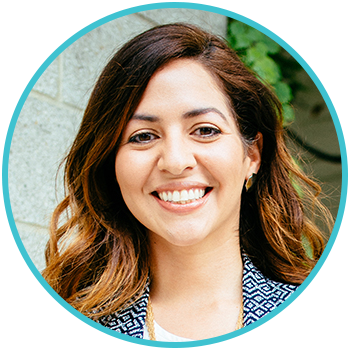 Vanessa is the Director of Professional Services at Cultivate Labs. Use prediction markets to learn what your people really think is going to happen with your most important projects and metrics. Use Kickstarter-style internal crowdfunding to prioritize what you should be focusing on at the front-end of your innovation process.